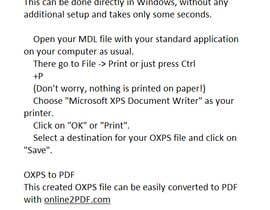 I work on the well known Lectra system, and I am trying to convert PDF or DXF files to .MDL file types .. This allows me adjust patterns in common programs like Illustrator and Corel draw. However, these then need to be imported back into Lectra as .MDL files. So what I need done or simply demonstrated, is how - if at all - this is possible. So the project is for someone to show me how to do it. 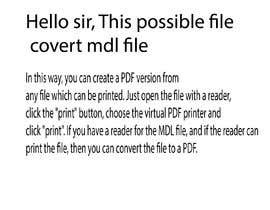 where is your file ? 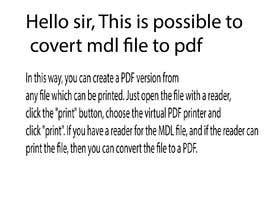 you need to convert matlab format into pdf ?